Growing up, I was raised on rice. Nowadays, I don’t eat it as much anymore, but I get a craving for it once in a while. This dish is so versatile, you can substitute the rice, the vegetable or even the protein. 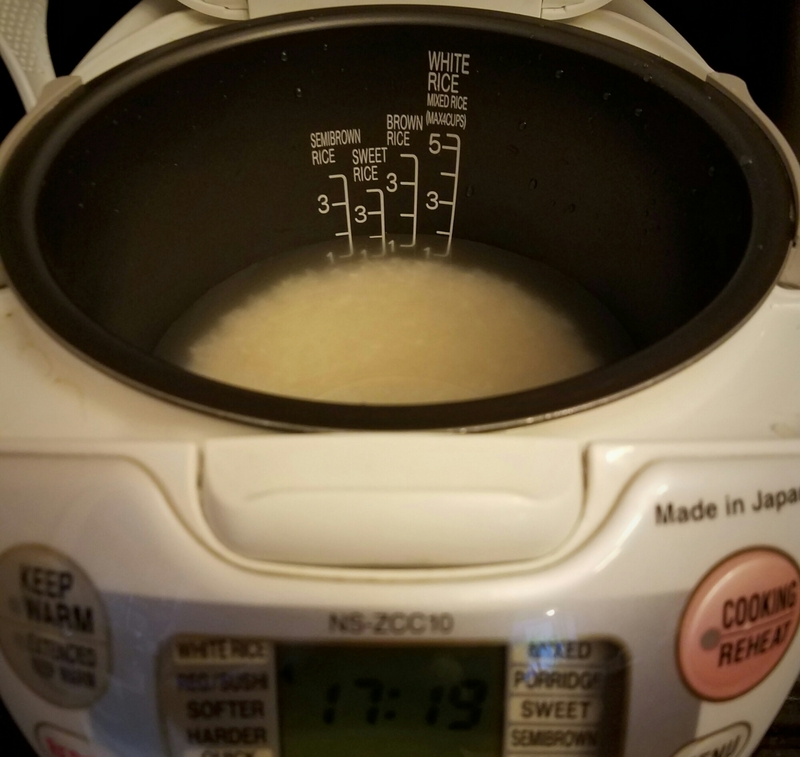 I started by making my rice. Most of the bags will say that the grains are pre-washed or “no washing/rinsing required” but that step is so ingrained in me that I still clean my rice first. Instead of the sushi rice that I used in this dish, you can use brown rice or quinoa, if desired. While that is cooking, I can relax for a moment before working on the vegetable – basically any would do. From spinach, to asparagus to mushrooms and edamame, the choices are endless. 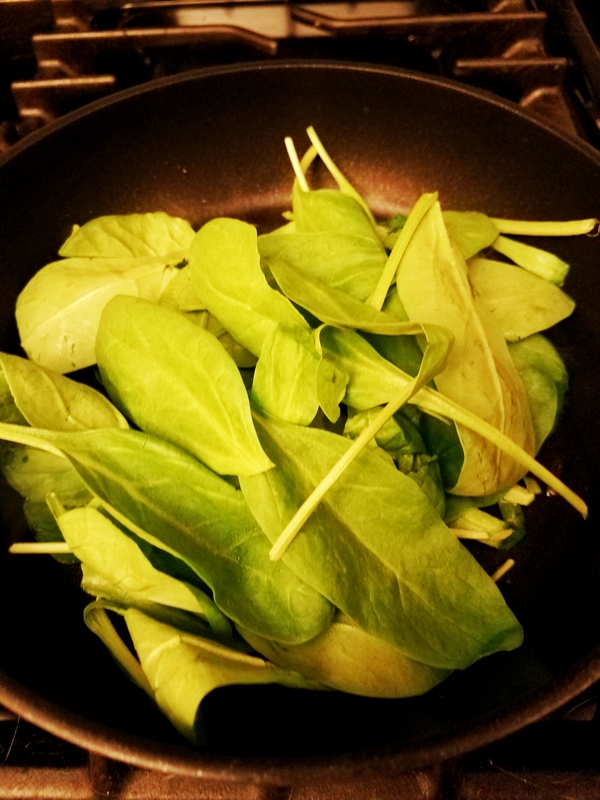 I chose spinach, that I sautéed in toasted sesame oil. I then took some roasted seaweed and cut it into strips or pieces so I can lay the protein on top. I had some smoked rainbow trout that I wanted to try with this. I could have also used fish (i.e. salmon), chicken, beef, pork or tofu for this as well. 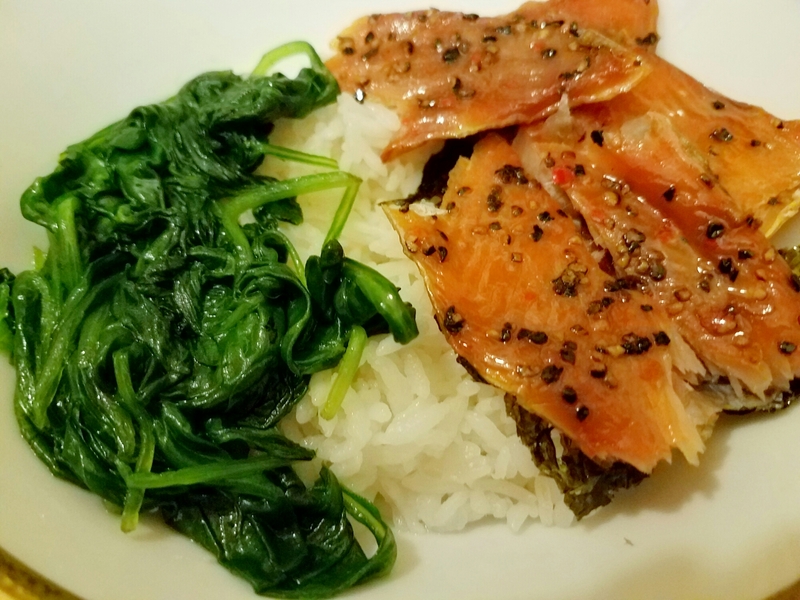 Place the protein on top of the seaweed and voilà – you have yourself a rice bowl! As you can see, there are a variety of ways you can put together a rice or grain bowl!